There are a great many accounting jobs available with the government, which can help accountants enjoy the relative stability of public sector work while using the advanced skills often required by the CPA examination. These jobs are some of the most important in terms of planning government policies and affording state and federal programs, and many accountants enjoy their role in helping to set the terms of new initiatives and public programs. Be sure to consider the full scope of government employment with an advanced accounting degree and a passing CPA exam score. Accounting is all about making sure the numbers add up, and on a federal level that’s also the role of the Internal Revenue Service. The IRS accounts for a significant number of entry-level and advanced accounting positions within the federal government, and typically hires new accountants at a faster rate than any other agency. Within the IRS, accountants can be expected to analyze corporate tax returns and exemptions, audit and assess personal income tax filings, use forensic skills to look for irregularities and tax “dodging,” and much more. The agency also hires accounting officers to receive appeals of assessed taxes, which places accountants into a mediator role between the agency and those it serves. Whether at the state or federal level, a significant part of government is to make sure that any obligations are met by the year’s budget. 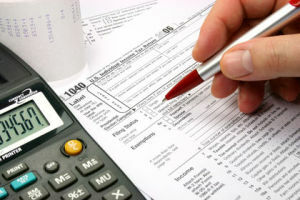 Accountants are specifically taught during their undergraduate and graduate classes to analyze financial statements, prepare budgetary disclosures, and analyze existing spending plans to make sure the math is correct, that any ethical obligations are met, and that the amounts disclosed align with state and federal ethics laws. This is a significant source of hiring within state and federal governments, with analysts working alongside state legislatures, Congress, and each, individual state and government agency. Accountants can also be expected to prepare reports for interested stakeholders and, in the case of accounting irregularities and budgetary problems, accountants will likely be asked to testify in front of a panel regarding any issues uncovered. Keeping the government honest is hard work, and accountants are at the forefront of this essential task. Many accountants work for agencies like the Government Accountability Office, the Congressional Budget Office, or even the Securities and Exchange Commission. In all three roles, they’ll use forensic and auditing skills to analyze financial documents. If they uncover math that just doesn’t add up, they’ll work alongside legislators, the executive branch, or the corporate executives in question, to determine why the issue exists and whether or not it constitutes a deliberate or accidental oversight. They’ll assist with any legal procedures that might result from these discoveries as well, providing expert testimony when required. Government spending and accountability are both absolutely essential to ensure that the system is working properly, and accountants are the people best positioned to enforce both of those ideals. The growth of government accounting jobs at both the state and federal levels points to a greater understanding of the need for fiscal discipline, ethical spending procedures, and greater corporate accountability. According to the IRS, these needs will likely continue to grow the number of accounting jobs available with the government for some time to come.